Welcome to our new release called “Norway” it’s made for a promo video clip for the Norwegian Tourism Dept. First of all thanks to all people who kept supporting and following us, we know we have not been able to release more music lately, but we are very busy with 2 large projects we hope to reveal to you soon. Those project take up most of our time, but we keep on going and more new music will follow soon. 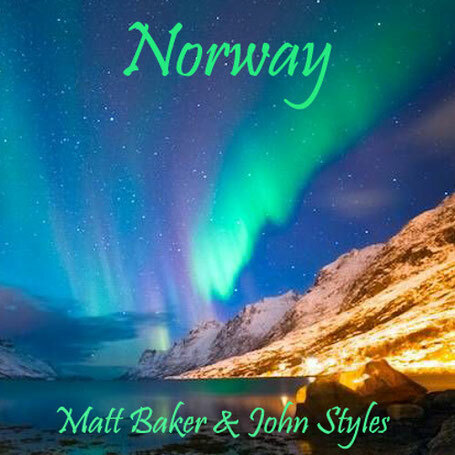 We have been busy with this project a long time, trying new technologies and recording methods, also because we wanted to add a lot of instruments known by the Norwegian natives / locals, we kept adding and changing until we were both satisfied with the end result. Again we layered all instruments to create the optimal dynamics, and at the same time we wanted to be able to patch each single instrument so that we could combine whatever was needed the way the customer wanted it to be, so we could enlarge or shorten the mini docu / promo clip as requested. Our major problem was to solve the different instrument characteristics and blend them all in perfectly without having to struggle with the frequencies overlapping each other to much, so we could make all instruments be heard properly, now we think we nailed it, so we let you judge and give your opinion. We also hope you can just relax and while listening to this piece you can imagine yourself flying through the beautiful fjords, landscapes, mountains and forests of Norway, and enjoy the view like we did looking at the footage picking up the motivation making this piece for you all to enjoy. We hope to release our videoclip very soon too with the courtesy of Norwegian Tourism dept. Your comment, advices and critics are very much appreciated as always, cheers John and Matt.